Comments: Albina Chausse (Nee: Baril) | Taunton MA | 1901-1920 | Comments: Louis and Albina (Baril) Chausse. 1905 Taunton, MA with Children Antoinette & Roland. Albina died on Christmas day 1906 along w her 3rd baby Mary Louise Yvonne & are buried in St. Joseph*s cemetery Taunton, MA. She was the daughter of Francois Xavier Baril and Marie Louise Lavoie. Louise Chausse remarried and went on to have 5 more children with Louise Anna Marcotte. 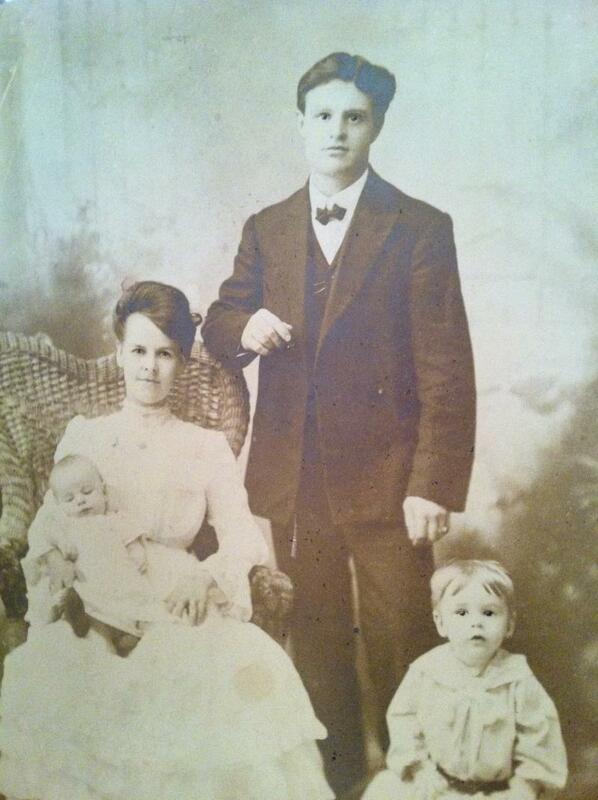 I have many photos of this family as they all passed to me from my great grandmother.